Cut and Go, cutting mat bag kit. This amazing bag designed to hold an 18" x 24" cutting mat, opens out fully to double as an ironing board! Ideal for taking to class where you want all the comforts of your sewing room close at hand or just as a pretty place to store your cutting mat at home. 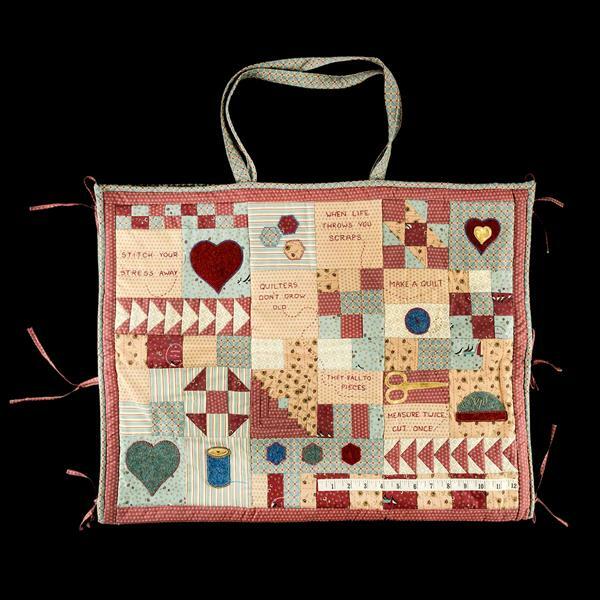 Sue has designed and pieced this bag incorporating some of her favourite quilt blocks coupled with cute sewing related appliques and quotes from the sewing world. You will receive the pattern with templates and diagrams, six fat eigths plus two fat quarters of cotton fabric. Four 10" x 6" pieces of Yorkshire tweed and a small piece of gold fabric. 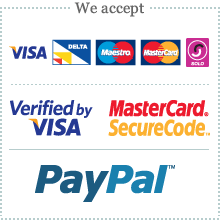 Additional requirements are fusible web and Luminex.